Canonical, which has tried to position Ubuntu as the Linux distribution of choice for cloud computing, has a new target market in mind for the OS: Your cell phone. 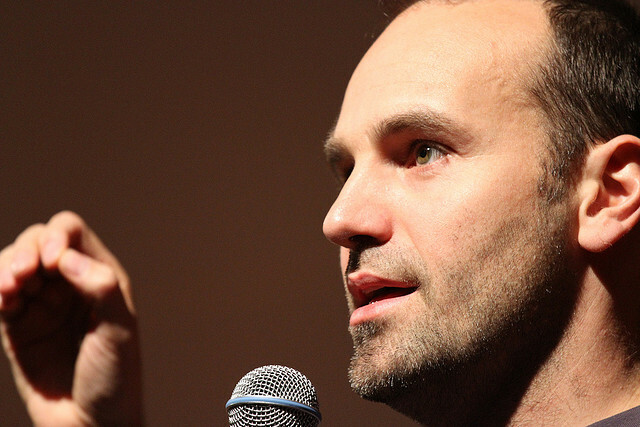 At the Ubuntu Developer Summit on Monday, Canonical will start talking up Ubuntu as a viable option for phones or tablets of the future, said Canonical founder Mark Shuttleworth. This is no mean feat. Ubuntu Linux has its share of supporters, but as a server OS it lags behind Red Hat Linux (s RHT) in corporate adoption. And the mobile OS market is already dominated by Apple’s (s AAPL) iOS and Google’s (s GOOG) Android, with Microsoft (s MSFT) making a late play with Windows Phone 7. There are already casualties: Blackberry,(s RIMM) once a formidable contender, is fading, and it looks like HP’s webOS adventure will be shelved. (s HPQ) One camp thinks that’s more than enough mobile operating systems. Another holds that there is always room for a new, creative player in a booming market. Count Shuttleworth, who backs Ubuntu with his own money, in the second group. He readily acknowledged that Apple is a formidable incumbent but also maintained that Google’s pending acquisition of Motorola(s MMI) will shake things up. Handset makers that now use Android will have to contend with a Google-owned handset maker. “The Google-Motorola deal changes everything,” Shuttleworth said while acknowledging the tough road ahead. “The notion that [the mobile OS status quo] is a done deal has some merit and we don’t have a mobile product today but the level of interest is high . . . and there is an underlying hunger both in the industry at large and in the open-source, free software world for leadership in this regard,” he said. “We will embrace phones and tablets and also smart screens — whether they’re smart TVs or monitors or other touch devices. That’s a fairly radically broadened scope for the work we do with Ubuntu now,” Shuttleworth said in an interview in advance of the event. The smartphone push will build on early work Canonical has done with its Unity interface for netbooks, touch-operated devices or small-form-factor devices, he noted. Shuttleworth said that Canonical wants to engage developers in a discussion around this new target market at the summit, but there won’t be a lot of specifics around timing and road map. “This is just the start of the conversation,” he said. Ubuntu was one of the first Open Source OS that “Modders” attempted to put on the HP TouchPad. I will not be surprised if they transition to smartphones, Tablets and Laptops with the help of Dell, whether as a OS on the device or as a Cloud-Based OS like Google Chrome OS may be making its way onto Tablets!!! ubuntu also collaborates w/ HP on its new cloud–i bet they’d love to extend that into HP PCs–now that we know there WILL be HP PCs. Why would anyone choose ubuntu over iOS when thats who Mark Shuttleworth will copy. The latest version of Ubuntu wreeks of developers who use Apple products. Windows Phone will rule the market within 3 years. It is the most original, speedy, prodctive phone OS out there. It sheds the pretty icon compeition we see between android and iOS. linux on PC’s has traditionally been a replacement and/or dual boot on computers designed for and shipped with windows. may actually be kind of cool in ubuntu were to be made available as a replacement OS for phone that ship with something else. Ubuntu is truly versatile. Won’t be surprised to see it on my toaster & Robot! i keep hearing that but can ubuntu get traction enough to go more mainstream? Or does it even need to?